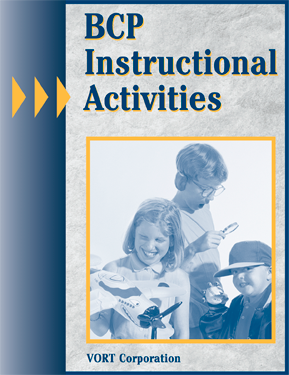 Curriculum-based assessment and instructional activies for developmental ages 1-14 years. A non-discriminatory, comprehensive curriculum-based assessment used to assess, set objectives, track progress, and provide instruction. We haven't found anything else that works for us the way BCP does. It has allowed us to formalize and systematize our alternative formative assessment to improve consistency across classrooms and schools. I would recommend the use of BCP to my colleagues in the field." "My students are young with multiple disabilities. In the past, it has been challenging to document the students' progress. BCP is a tool that in most cases has steps that are small enough that progress can be documented. During IEP meetings, the BCP is a helpful tool in discussing student progress with parents. The parent are especially interested in seeing the progress from year to year. The BCP is the best assessment tool I have used."